The Government of Dubai Media Office, today launched ‘For the Love of Horses’, a new book by His Highness Sheikh Mohammed bin Rashid Al Maktoum, Vice President, Prime Minister and Ruler of Dubai, featuring a collection of 18 poems in Arabic and English that celebrate his passion for horses. 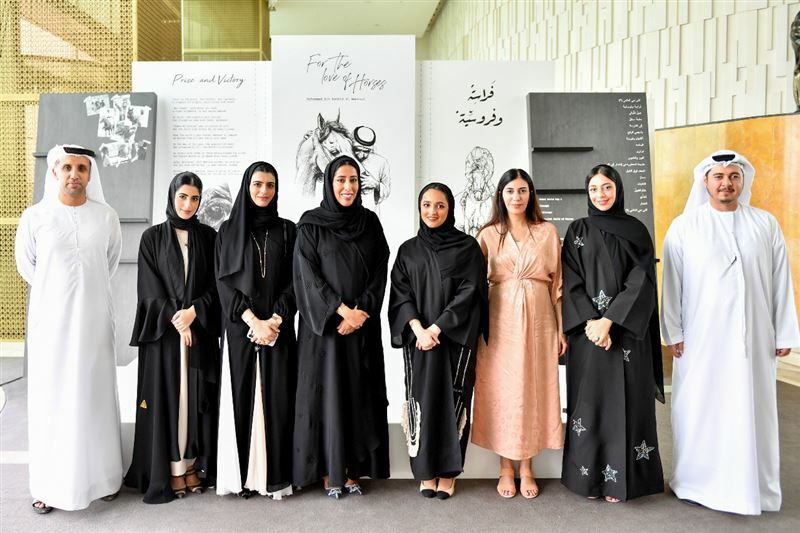 The launch event, hosted by Meydan, was attended by Sarah bint Yousif Al Amiri, Minister of State, and Sultan Al Amimi, Director of the Poetry Academy of the Cultural Programmes and Heritage Festivals Committee – Abu Dhabi. Poets, writers and media personalities attending the 2019 Arab Media Forum and guests of the Dubai World Cup were also present at the event. The launch of the book coincides with the 24th edition of the Dubai World Cup, the world's richest race day with a total prize money of US$35 million. Director General of the Government of Dubai Media Office (GDMO) Mona Ghanem Al Marri said the new book of poems captures His Highness’ outlook on life and his noble vision. Sheikh Mohammed is a global figure whose leadership has led to the UAE emerging as a leading country in the world, she said. The poems in the book speak about the deep love and passion that His Highness Sheikh Mohammed has had for horses from an early age and how this has influenced his life’s journey. She thanked Meydan for partnering with GDMO to organise the event. Saeed Humaid Al Tayer, Chairman and CEO of Meydan Group, expressed his pride in hosting the poetry gathering in collaboration with the Government of Dubai Media Office. He said: "His Highness Sheikh Mohammed is a towering personality in the worldwide equestrian fraternity who has contributed significantly to the development of the global industry." Sarah bint Yousif Al Amiri, recited some of the poems from the new collection and shared her experience of working with His Highness as well as the lessons she has learned from him. Sultan Al Amimi shared his insights into His Highness' deep relationship with horses as expressed in his poems. An equestrian-themed art exhibition was held on the sidelines of the event. Emirati artists who attended the event included Fatema Ahmed, Buthaina bin Lahej, Ghanim Mubarak, Mouza Al Subousi and Saggaf Al Hashmi.